Two of our recent MBA graduates, Kristin Stith and Paul Klein, gave an excellent talk at TEDxUniversityofNevada 2014 about being part of the Biggest Little City rebranding effort. This was a group of talented citizens that organized to volunteer time and effort to change the image of Reno, Nevada. The results of the rebranding and grassroots marketing campaign have been impressive. This is also a great example of a well rehearsed TEDx talk. Kristin and Paul participated in all three of the rehearsals we organized for local speakers starting 3 months before the event. We watched as their talk went from an outline to a script and from nervous reading of lines to a confident performance. The audience loved their talk and if you take the time to watch it, I think you will too. After watch the video, please share your thoughts in the comment section below. Elizabeth Smart is an amazing woman. 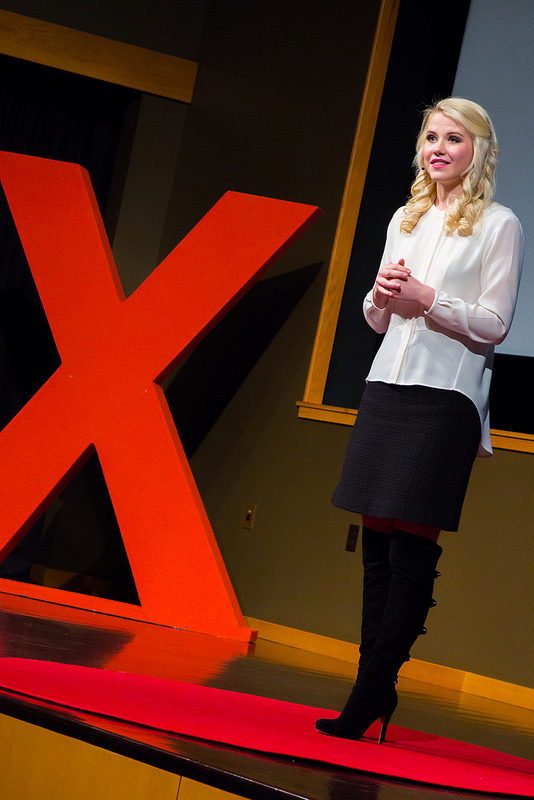 She delivered an extremely compelling talk at TEDxUniversityofNevada 2014 about overcoming extreme trials and remaining healthy and positive. Please take the time to watch this very important talk and share it with your friends. After you watch the video, please share your thoughts in the comment section below. Harvey Turner is the senior and founding pastor of Living Stones Church in Reno, NV. His organization is often cited as among the fastest growing churches in the United States. In this talk from TEDxUniversityofNevada 2014, Harvey asserts that one of the keys to the health and growth of his organization is it’s community focus. Harvey encourages organizations to systematically find ways to for their members to be more involved in the community most proximal to their location. An integral, outward focus is good for the organization’s members, which is ultimately good for the organization. After you watch the video, please share your thoughts in the comment section below. In this excellent talk at TEDxUniversityofNevada 2014, Jamie Amelio, the founder of Caring for Cambodia, encourages us to get bothered and stay bothered about issues in the world we live in. Jamie tells the story of being an expatriate executive living in Singapore when she took a trip to Cambodia that forever changed her life. What she saw in Cambodia prompted her to return and eventually found 24 schools for needy children. After you watch Jamie’s inspiring story, please share your thoughts in the comments section below.